SPX 2015 saw the very first Nickelodeon animation call for submission at an indie comics festival. The open call was an unprecedented opportunity for SPX creators to present their animation ideas and skills to members of the Nickelodeon team and become a part of its annual 2015 global Animated Shorts Program. More than 70 members of the SPX community presented their pitches to the Nickelodeon staff during SPX last September to see if theirs would be chosen to be developed into an animated short as part of the program. Nickelodeon is pleased to announce that Max Wittert's Best Baddies was selected and is in production. Mr. Wittert is an illustrator and cartoonist based out of Brooklyn NY, whose work has been published by The New York Times, Time Out New York. Additionally, web comic Jean & Scott, a take - off on The X-Men, led to it being published by Marvel Comics. Best Baddies is about four magical villainess girls who challenge the status quo of their dull city by trying to convince other girls to join them and become fellow villainesses. The SPX 2015 call for submissions was part of Nickelodeon's 2015 Animated Shorts Program, which this year chose 22 ideas from around the world to be developed into shorts that will either potentially air on Nickelodeon or be able to be viewed on its web site. The annual program, overseen by network development executives, accepts domestic and international pitches that will be developed into animated shorts for the Nickelodeon and Nick Jr. audiences. Designed to cultivate a new generation of creative talent, the Animated Shorts Program aids in Nickelodeon's mission in making the best and funniest content for today's kids. Phil Rynda, Nickelodeon's Vice President of Artist Development, says, "Animation and comics have been linked since the dawn of animation as an art form. Comics creators have been part of the networks DNA for more than 5 years, with comics artists contributing to Ren and Stimpy, SpongeBob Square Pants, and the more recent Harvey Beaks and Pig Goat Banana Cricket to name a few. SPX is overflowing with some of the most talented, inspiring, and hilarious creators in independent comics. Our involvement with SPX was a natural fit as a creator - driven animation studio partnering with the premiere creator - driven comics event." Nickelodeon found such a wellspring of creativity at SPX, that additional opportunities have been offered to SPX creators. Numerous pitches were put up for consideration in series and long - form development, freelance design work was offered to a few creators and an internship was offered and accepted. Other SPX creators are still in contact with Nickelodeon to shape full series pitches out of their shorts pitch. SPX 2016 takes place this year September 17-18 at the Bethesda North Hotel and Conference Center. It will have the largest exhibitor presence in indie comics, with more than 650 creators, 280 exhibitor tables and 22 programming slots to entertain, enlighten and introduce attendees to the amazing world of independent and small press comics. SPX is also home to the prestigious Ignatz Awards, which is the only festival prize in indie comics, with nominees voted on by attendees at the show. The 2016 Nickelodeon Global Animated Shorts Program is now open for submissions through April 15. Get the latest Nickelodeon Global Animated Shorts Program news here on the programs official Tumblr blog! Additional sources: Graphic Policy, The Beat. Follow NickALive! on Twitter, Tumblr, Google+, via RSS, on Instagram, and/or Facebook for the latest Nickelodeon Animated Shorts Program News and Highlights! Globally, today's kids are growing up in a world that's quite different from the one in which their parents came of age. Terrorism threatens to strike in unlikely places, a weak economy remains a problem, and the march of technology moves forward at a rapid pace. Kids today will only know a world that feels less stable than what their parents knew as children - additionally, they will never know a world without high-speed internet and interactive screens. Parents today are also in uncharted territory, as they raise their kids in this transforming environment. Because today's kids are being raised so differently, the values they embrace are shifting. So, what does this all mean for families today? A new video by Viacom International Insights summarizes some key themes from Nickelodeon Kids and Family GPS's conversations with over 60,000 kids and parents in 24 countries in 2015, and shares some insights into what this means for families today. VIACOM This is Our Audience - Kids and Family from Viacom International Insights on Vimeo. You can find more information about Nickelodeon Kids & Family GPS's new video, as well as videos focussing on Viacom's Youth and Adult audiences, here on the official Viacom International Insights blog. Follow NickALive! on Twitter, Tumblr, Google+, via RSS, on Instagram, and/or Facebook for the latest Nickelodeon and Viacom Research News and Highlights! To celebrate Nickelodeon UK and Ireland/HD premiering more brand-new episodes from the all-new second season of Nickelodeon's hit musical comedy series Make It Pop every Tuesday, Wednesday and Thursday at 6:00pm, Nickelodeon stars Megan Lee and Erika Tham, who play Sun Hi Song and Corki Chang, respectively, on the hit Nick show, will be taking over Nickelodeon UK's official Twitter profile page, @NickelodeonUK, to answer questions from fans on Tuesday 1st March 2016 at 6:00pm! To ask Brec your questions, simply Tweet your questions to @NickelodeonUK using the special #AskMakeItPop hashtag! Follow NickALive! on Twitter, Tumblr, Google+, via RSS, on Instagram, and/or Facebook for all the latest Nickelodeon UK and Make It Pop News and Highlights! 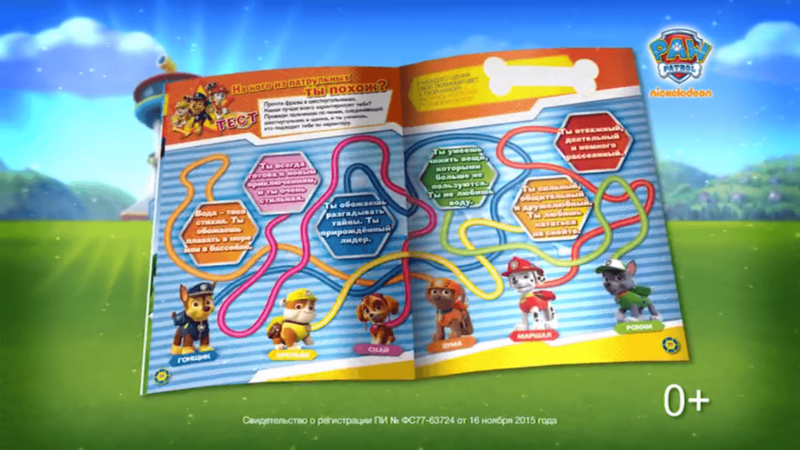 Nickelodeon & Viacom Consumer Products (NVCP) has launched the first range of PAW Patrol books and magazines across Russia! The range is a collaboration between NVCP's official licensing partner in the region - Pullman Licensing - and Egmont, Russia's biggest publishing house. The first issue of Paw Patrol magazine includes a number of stories about the adventures of the heroic Pups, as well as educational puzzles and games, and free stickers! Paw Patrol (locally titled Щенячий патруль) first appeared on Nickelodeon Russia (Россия) in November 2013 and is officially one of the network's most popular kids titles. Nickelodeon Viacom Consumer Products (NVCP) Russia and Salomon, the world renowned manufacturer of winter sports equipment, have partnered to launch a exclusive collection of snowboards for children featuring the image of Nickelodeon superstar SpongeBob SquarePants in Russia! Snowboards from the new Sponge-Tastic collection will appeal to both children and their parents. Each board provides a high level of security to help develop the skills of future champions! The limited edition SpongeBob SquarePants snowboard collection have already appeared on the shelves in over 15 countries around the world, including the USA, UK, France, Germany, South Korea, Switzerland, Australia and Argentina. 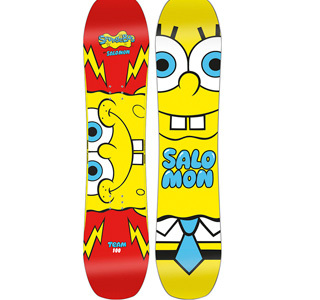 The SpongeBob SquarePants snowboard collection features two types of boards featuring Nickelodeon's beloved character. Team Snowboard allows snowboarders to quickly master the turns. The snowboard is produced using Bite Free Edge Tune technology, which guarantees a smooth descent from the slope and gives young fans the opportunity to channel the ever-optimistic SpongeBob to feel confident as soon as they start riding! For more experienced snowboarders looking to improve their skills is the Grail Snowboard. The boards design adds stability at speeds and allow the child to snowboard on dynamic slopes. The snowboard provides a smooth ride and excellent manoeuvrability, which will help the young rider to fall in love with snowboarding. Creating the new collection was the first step in a global partnership for Nickelodeon Viacom Consumer Products and Salomon. 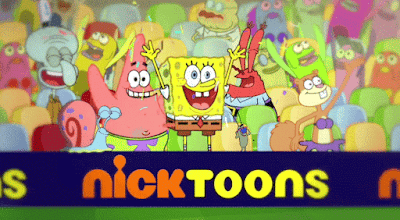 Studies confirm the popularity of Nickelodeon characters among children and adolescents. Thus, 86% of children aged 6-14 years know SpongeBob SquarePants, and almost half of them regularly watch the hit animated series of the same name. Salomon Nickelodeon Viacom Consumer Products (NVCP) и всемирно известный производитель оборудования для зимних видов спорта Salomon представили эксклюзивную коллекцию сноубордов для детей с изображением главного героя популярного анимационного сериала телеканала Nickelodeon «Губка Боб Квадратные Штаны». Сноуборды из новой коллекции придутся по душе как детям, так и их родителям: они обеспечивают высокий уровень безопасности и помогают будущим чемпионам развивать навыки уверенного скольжения. Выпущенные ограниченным тиражом сноуборды уже появились на полках магазинов в более чем 15 странах по всему миру, включая Россию, США, Великобританию, Францию, Германию, Южную Корею, Швейцарию, Австралию и Аргентину. Рон Джонсон (Ron Johnson), исполнительный вице-президент Nickelodeon Viacom Consumer Products, так прокомментировал новое сотрудничество: «Мы рады предложить веселым, стремительным и бесстрашным поклонникам Nickelodeon эти сноуборды. В тандеме с командой Salomon мы разработали коллекцию с ярким дизайном и теперь ждем момента, когда юные райдеры опробуют новые сноуборды». В коллекции представлены два типа досок с изображением Губки Боба Квадратные Штаны. Начинающим сноубордистам предлагается модель Team Snowboard, которая позволит быстро освоить повороты. Сноуборд произведен с применением технологии Bite Free Edge Tune, которая гарантирует плавный спуск со склона и подарит юным поклонникам телеканала Nickelodeon возможность чувствовать себя уверенно с первых минут катания. Более опытным сноубордистам, совершенствующим свое мастерство, подойдет модель Grail Snowboard. Особенности ее конструкции добавят стабильности на скоростях и позволят ребенку уверенно совершать динамичные спуски. Сноуборд обеспечивает плавную езду и отличную маневренность, что поможет юному райдеру полюбить сноубординг по-настоящему. Создание новой коллекции стало первым шагом в рамках глобального партнерства Nickelodeon Viacom Consumer Products и Salomon. Проведенные исследования подтверждают популярность героев Nickelodeon среди детей и подростков. Так, 86% детей в возрасте 6-14 лет знают Губку Боба Квадратные Штаны, а почти половина из них регулярно смотрят этот анимационный сериал . Follow NickALive! 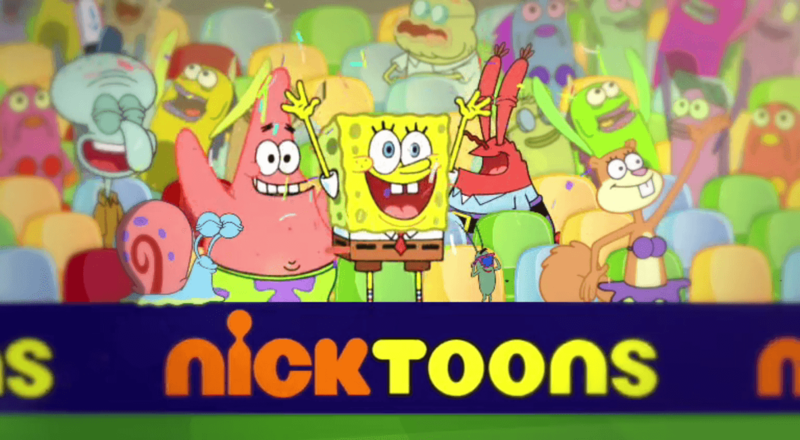 on Twitter, Tumblr, Google+, via RSS, on Instagram, and/or Facebook for the latest Nickelodeon Russia and CIS and SpongeBob SquarePants News and Highlights! Nickelodeon Russia and CIS has announced the magical Nickelodeon International news in a post on their official Facebook profile page, Facebook.com/NickelodeonRussia, that Nickelodeon Russia and CIS (Россия and СНГ) will start to premiere and show "WITs Academy", a bewitching spin-off of "Every Witch Way" ("Колдовская история") following Andi's magical journey at the prestigious W.I.Ts Academy, from Monday 7th March 2016 at 16:50 МСК! In "WITs Academy", locally titled "Академия Уитс", Andi is now studying at W.I.Ts Academy, the Magic Realm's most esteemed school for witches and wizards in training, but, as the best friend and unofficial Guardian to the Chosen One, she now has to work hard to prove that she can live up to expectations as the first and only human Guardian. She's also in charge of getting the Magical Realm's toughest witch and wizard to graduation day, one of which is Jax's little sister, Jessie Novoa. Along the way she'll have to decide who is a friend, who is a foe and who may be more. 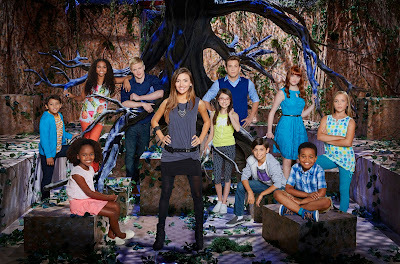 In the premiere episode "The New Guard", Andi arrives at "WITS Academy" and meets the other Guardians and Witches in training. Then in Wednesday's episode "The Jinx", the WITS complete their first test. Ben struggles with a challenge, while Ruby has it out for Andi. "WITs Academy" stars Daniela Nieves as Andi Cruz, Kaelii "Jazzy" WIlliams as Kim Sanders, Calvin "Ryan" Cargill as Luke Archer, Jailen James Allen Bates as Ben Davis, Andrew Amaru Ortega Walker as Sean De Soto, Lidya Jewett as Gracie Walker, Tyler T. Perez as Cameron Masters, Kennedy Lea Slocum as Ruby Webber, Julia Antonelli as Jessie Novoa, Christ Margaret "Meg" Crosbie as Emily Prescott, and Efthimios "Timothy" Colombos as Ethan Prescott, Todd Allen Durkin as Agamemnon, Mia Matthews as Desdemona, and Bianca Matthews as Samantha. "W.I.Ts Academy" is created by Catharina Ledeboer and is produced by Viacom International. "The W.I.T.s Academy" is executive produced by Tatiana Rodriguez ("Talia in the Kitchen") and José Vicente Scheuren ("Every Witch Way"). "W.I.Ts Academy" season one features 20 episodes. Академия Уитс - [It Must Be Magic] Music Video from Nickelodeon_RU on Vimeo. Follow NickALive! on Twitter, Tumblr, Google+, via RSS, on Instagram, and/or Facebook for the latest Nickelodeon Russia & CIS and WITs Academy News and Highlights! Nickelodeon UK & Ireland has announced the very exciting KCA news that the UK & Irish edition of the Nickelodeon Kids' Choice Awards 2016 will feature a exclusive performance by KCA nominees The Vamps, especially for viewers in the UK and Ireland! The Vamps have been nominated for the UK Favourite Music Act blimp award in Nickelodeon's 2016 Kids' Choice Awards! 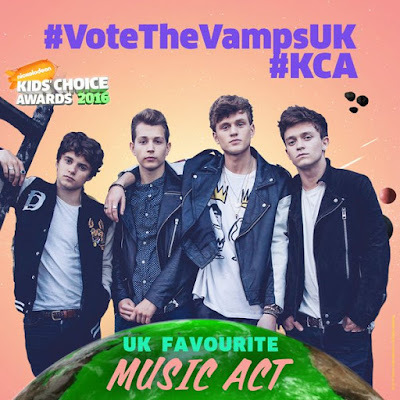 Additionally, devoted fans of the group, the Vampettes, have been nominated for the UK Favourite Fan Family KCA award! Fans can vote for The Vamps and Vampettes at kca.nick.co.uk, via the Nick Play app and on Twitter using the hashtags "#KCA #VoteTheVampsUK" and "#KCA #VoteVampettesUK" (each Tweet must include both hashtags for the vote to count). Hosted by country music superstar Blake Shelton and UK hosts Jordan Banjo and Perri Kiely, Nickelodeon's 2016 Kids' Choice Awards will honour kids' favourites from the worlds of film, music and television, giving kids a front-row seat to slime, stunts and celebrities! Nickelodeon UK and Ireland and Nickelodeon HD UK will premiere and show the 2016 Nickelodeon Kids' Choice Awards on Sunday 13th March 2016 from 5:00pm, giving Nick's UK and Irish audiences the opportunity to see all of the slime and star action less than 24 hours after the live US show, which will take place at the "Fabulous" Forum in Los Angeles on Saturday 12th March 2016! Nickelodeon Israel Says A Fond Farewell To "The Greenhouse"
For almost four years, fans of "החממה" ("The Greenhouse") have tuned in to Nickelodeon Israel and watched the drama and excitement unfold for the pupils at the worlds most elite boarding school for gifted future leaders! You've been there from the shows very first moments through to the students' recent graduation. You opened your hearts to the characters of the show, you wrote, you uploaded, you shared, you sang and you danced along to all the action of the show with the stars and crew of the series. To say a fond farewell to Nickelodeon Israel's "The Greenhouse" ("HaKhamama" in Hebrew), below is a selection of fantastic video clips from Nick Israel's popular locally produced drama series, including the touching moment the Eagles and the Ravens graduate along the banks of Sea of Galilee, and a tribute looking back at some of the most memorable moments from the show! The students of "The Greenhouse" graduate with flying colours! Go behind-the-scenes of "The Greenhouse" and check out what happened when the cast filmed their final scene! במשך כמעט 4 שנים החממה נכנסה לכולנו ללב, אתם הייתם שם יחד איתה מהרגע הראשון. תודה לכם שפתחתם לפנינו את ליבכם, כתבתם, העלתם, שיתפתם, צילמתם תיעדתם, שרתם, רקדתם. As we prepare to say goodbye to the students of the "The Greenhouse", take a look back at some of their most memorable moments! The video also features Lee Biran (Iftach) performing "Won"! Lee Biran performs the "החממה" theme tune! "The Greenhouse" theme song translated into English! Although fans are saying goodbye to "החממה", it's not the end of the series, as Netflix recently acquired the format rights to Nickelodeon Israel's hit drama series "The Greenhouse" - the US media giants first Israeli television show! In the landmark deal, Netflix will remake and adapt "The Greenhouse" for American audiences. While the Israeli series takes place on the shores of the Sea of Galilee, the American version, to be filmed in Israel, will be set near the Pacific Ocean in Southern California. Paula Yoo ("West Wing", "Defiance", "Eureka") is adapting with showrunner Giora Chamizer, who wrote and created the original series. Nutz Productions, a subsidiary company of Ananey Communications (which broadcasts Nickelodeon domestically), will produce the American series for Netflix. The American version of "The Greenhouse" will retain the title "The Greenhouse" and will be released for streaming in 2017. Follow NickALive! on Twitter, Tumblr, Google+, via RSS, on Instagram, and/or Facebook for the latest Nickelodeon and The Greenhouse News and Highlights! 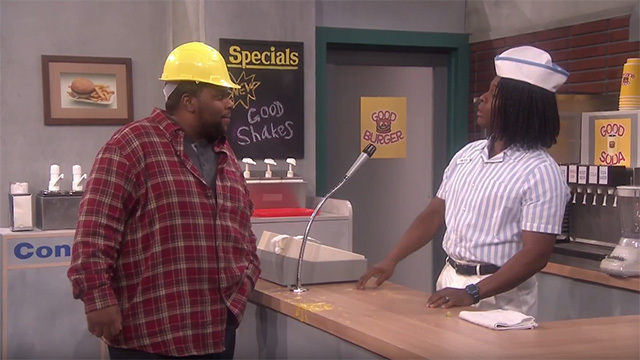 "Two Heads Are Better Than None" brings an hour and a half of pure Kenan & Kel magic! Did you hear? Kenan Thompson and Kel Mitchell are talking about making a Good Burger sequel! Angelica Pickles and Debbie Thornberry rock out to The Clash's "Should I Stay Or Should I Go." Wild. March 2016 On Nickelodeon UK, NickToons And Nick Jr.
All New All Nick continues this March on Nickelodeon UK as Nick, Nicktoons and Nick Jr. with more brand-new episodes of your favourite shows and the slimiest event of the year - Nickelodeon's 2016 Kids' Choice Awards! Nickelodeon's 2016 Kids' Choice Awards: The must-see event of the season, Nickelodeon's Kids' Choice Awards 2016, is finally here! Nickelodeon UK & Ireland/HD will premiere and show Nickelodeon's 29th Annual Kids' Choice Awards ceremony, the Nickelodeon 2016 Kids' Choice Awards, which will be presented by country music superstar Blake Shelton, on Sunday 13th March 2016, starting with the Kids' Choice Awards 2016 Countdown pre-show, bringing UK and Irish viewers all of the latest action and freshest KCA gossip from the star-studded Orange Carpet, at 5:00pm, then the main event, the slimiest awards show on the planet, at 5:30pm, giving Nick's UK and Irish audiences the opportunity to see all of the slime and star action less than 24 hours after the live US show, which will take place at the "Fabulous" Forum in Los Angeles on Saturday 12th March 2016! Nickelodeon UK will also simulcast the Kids' Choice Awards 2016 Countdown pre-show and the Nickelodeon 2016 Kids' Choice Awards on Nicktoons UK & Eire! The Thundermans: To celebrate the UK debut of Nickelodeon's 2016 Kids' Choice Awards, Nickelodeon UK will premiere the brand-new The Thundermans episode "Dopple-Gamers" at 4:30pm on Saturday 13th March 2016! In the all-new episode, Billy and Nora bond with an outgoing pair of teens at a gamer's convention, making Max and Phoebe aware of much they have been neglecting their younger siblings! Make it Pop season two: Catch more brand-new episodes from "Make it Pop" season two every Tuesday, Wednesday and Thursday at 6:00pm! Bella and the Bulldogs: Watch more brand-new episodes of "Bella and the Bulldogs" every Monday at 5:30pm from 7th March 2016! Henry Danger: The danger continues in more brand-new episodes of "Henry Danger" every Friday at 4:30pm, including the all-new episode "Henry and the Woodpeckers", in which, when Piper's basketball coach quits, Henry becomes the coach of Piper's team! Nicky, Ricky, Dicky and Dawn: Catch more brand-new episodes of NRDD every Saturday at 8:00am, including the all-new episode "Harpers for President", in which it's Quad vs. Quad in the election for class president! Ricky thinks he has the race locked up, but is surprised when Dawn enters! - Saturday 5th March 2016 - With the pressures of high school on the way, CJ and her best friends decide to embark on a series of middle school adventures while they can still take risks and have fun. Nick Kicks: Catch more goals, fans and fails of The Football League in brand-new episodes of Nicktoons' all-new footie show every Saturday at 8:00am! Rocket Monkeys: This March, the Rocket Monkeys are back and will stop at nothing to take over the Nicktoons Empire! Catch more brand-new episodes of "Rocket Monkeys" every Saturday at 6:30am! Rabbids: Invasion: The Rabbids continue their invasion of Earth in more brand-new episodes of "Rabbids Invasion", premiering at 1:30pm on Monday 7th, Tuesday 8th and Wednesday 9th March 2016! Harvey Beaks: Visit Harvey, Fee, Foo and their Littlebark friends as they go on more adventures in brand-new episodes "Harvey Beaks", premiering weekdays at 4:30pm from Monday 7th March 2016! Start your engines and gear up for more adventures in Axle City in brand-new episodes of "Blaze and the Monster Machines", premiering this March, only on Nick Jr. UK! Can you Whip it & Dance like Drizzy at the same time? Your favorite KCA & Nickelodeon stars put this dance-off to the test in this Kids' Choice Awards mashup music video! Catch Nickelodeon's 2016 Kids' Choice Awards, airing live on Nickelodeon USA, Nickelodeon Canada and Nickelodeon Australia & New Zealand on Saturday, March 12, at 8 p.m. (ET/PT) and on Nickelodeon channels around the world within hours of the live show, including Sunday 13th March 2016 from 5:00pm on Nickelodeon UK and Ireland/HD! Make It Pop - Behind The Scenes Of Season 2! Follow NickALive! on Twitter, Tumblr, Google+, via RSS, on Instagram, and/or Facebook for the latest Nickelodeon UK and Make It Pop News and Highlights! 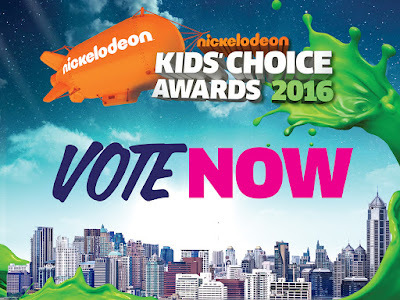 Nickelodeon's 2016 Kids' Choice Awards are fast approaching, have you voted? Head to kca.nick.co.uk now! Catch the UK & Irish premiere of Nickelodeon's 2016 Kids' Choice Awards, hosted by Country music superstar and coach panelist on NBC's The Voice, Blake Shelton, and UK dance stars Jordan and Perri, on Sunday 13th March 2016 from 5:00pm! Nickelodeon UK & Ireland has unveiled a brand-new sponsorship opportunity for their brand-new Football show, Nick Kicks! 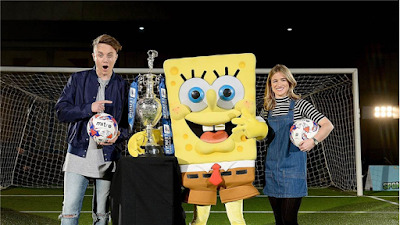 Nickelodeon's three year partnership with The Football League has produced the exclusive live action programme Nick Kicks, giving your brand the opportunity to partner with two global giants! Nick Kicks will be give UK kids the football show they deserve, delivering the Goals, Fans and Fails of The Football League. Nick Kicks is a weekly 22 minute show giving kids and families access to their favourite teams like never before. Along with weekly game highlights, Nick Kicks visits clubs across the country getting exclusive and unique interviews with players and managers. Nick Kicks also gives UK kids a chance to experience what it is like to be a football manager or player for the day. Nickelodeon superstar SpongeBob SquarePants also joins the Nick Kicks team by taking on and challenging club mascots from The Football League each week! * There will be an additional slot on Sky Sports One at 08:30 every Saturday. * Bespoke on-air commercial spot as well as supporting digital media. Full information for this fantastic Nickelodeon Sponsorship Opportunity can be found on the Sky Media Marketplace. Follow NickALive! on Twitter, Tumblr, Google+, via RSS, on Instagram, and/or Facebook for the latest Nickelodeon UK, Nicktoons and Nick Kicks News and Highlights! Spireites Star Rai Simons To Appear This Weekends Brand-New Episode Of "Nick Kicks"
Chesterfield FC's Rai Simons is hoping to show that skills challenges are child's play when he appears on Nick Kicks this weekend! Simons, 20, will be taking part in the Chip 'N' Bin challenge, which will see him try and chip in as many footballs into the Nick Kicks bin. The stunt is part of Nick Kicks, Nickelodeon UK's brand new Football show for kids that covers all Football League clubs. This weeks episode will also see Roman Kemp visiting Miles Jacobson and the rest of the super cool team behind the world's favourite football management game, Football Manager! To see how Rai and Roman get on, tune in to Nick Kicks on Saturday 27th February 2016 at 8am on NickToons UK & Ireland (Sky channel 606, Virgin Media 717, TalkTalk 560)! Presented by Roman Kemp and Rachel Stringer with commentary from Peter Pundit, Nick Kicks features highlights from the week's football as well as the humorous moments and a look ahead to upcoming games. 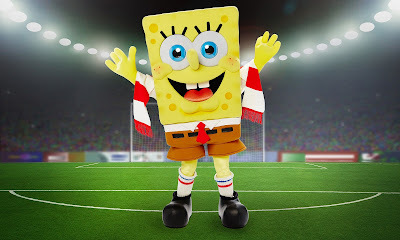 Nickelodeon megastar SpongeBob SquarePants also plays a part in the series as he takes on club mascots in weekly challenges. 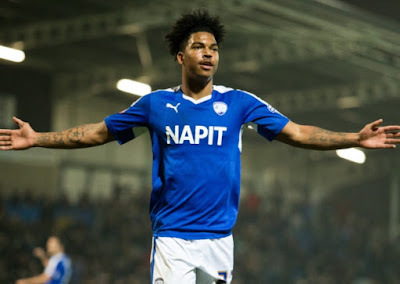 For a sneak preview of the show, click the super video below, courtesy of Spireites Player, and visit nicktoons.co.uk/nickkicks and the award-winning Nick Play app for more footie-tastic videos, behind-the-scenes content, polls, quizzes and games! Nickelodeon recently came to Chesterfield to film ahead of the new Nick Kicks Football League programme, here's a view from behind the scenes. Nick Kicks starts on Saturday at 8am only on NickToons. 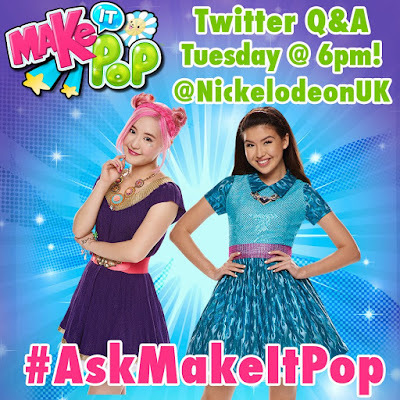 Nickelodeon USA Hosts Q&A With C.H. 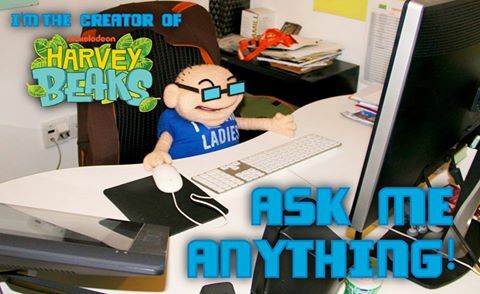 Greenblatt, Creator Of "Harvey Beaks"
To celebrate Nickelodeon USA premiering brand-new episodes of the networks popular original animated series "Harvey Beaks" every Friday at 8:00pm (ET/PT), Nick USA hosted a special Facebook Q&A with creator C.H. Greenblatt on Thursday 25th February 2016! As part of his Q&A, C.H. Greenblatt shared some fantastic information about working on "Harvey Beaks", "SpongeBob SquarePants" and "Chowder", including what fans can expect to see in "Harvey Beaks" season two, including that the opening titles for "Harvey Beaks" season two will feature new scenes, we'll get to meet Harvey's grandparents, and that the crew are working on a "Harvey Beaks" Christmas special! C.H. Greenblatt also hinted that a upcoming episode may explore the origins of Harvey's best friends, Fee and Foo, and revealed the upcoming episode "Double Digits" be about Harvey's tenth birthday! Check out highlights from C.H. Greenblatt's Facebook AMA below! C.H. Greenblatt: Juwan! I loved your letter and the paintings you did! Thank you so much for sending them. I've been promising myself I'd send you a letter in return and I will make myself do it! Most memorable Mario Kart moment? CHB: Blasting a blue shell with the horn box thingie. CHB: I'm a fan of red shells. CHB: Doesn't everyone? I don't watch a ton. I have a few things that I like, but I don't spend a lot of time browsing. CHB: I dunno about favorites. Right now I'm powering through Blacklist. It's super fun! Do you like any videogames? CHB: I do! I played a lot of PS1, PS2 and Xbox. CHB: So many! King of Tokyo will always be special. Why is Burbank so hot and sunny? CHB: Because it's the armpit of LA. CHB: I have no idea what that is. CHB: Beep Boop you found me out! How can I become a puppet like you? CHB: 100 Pushups!! 100 Situps! Run 1 mile everyday!!! what got you into animation? CHB: The door! (rimshot) Seriously I spent years drawing my own comics. 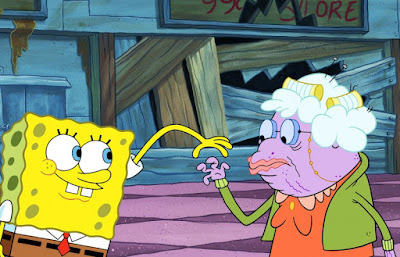 Those got me my first job on SpongeBob. Who do you think would win in an contest for being the most annoying: Fred Fredburger or Princess? CHB: Princess is obnoxious. Fred is annoying. But I'd probably rather spend time around Fred than Princess. How hard is it to get onto the animation industry? CHB: It's challenging but not impossible. You just have to spend a lot of time really honing your craft and putting your work out there. Then It's a mix of good timing and perseverance. There are only so many positions and lots of artists, so you'll need to be as good or better than the others. Have you done the voices for any characters in your shows? CHB: I voice Dade, Jeremy, and other random dudes. On Chowder I did the voice of Kimchi and a few others. Why does The Spitting Tree look more similar to A Tail of Les Squirrels than any other episode? CHB: Because those were the first two episodes we made. The look of the show was still being locked down at the point. What inspired you to make Chowder and Harvey Beaks? 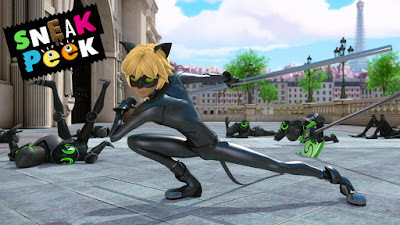 To celebrate Nickelodeon USA premiering the brand-new "Miraculous: Tales of Ladybug & Cat Noir" episode "Darkblade" on Sunday 28th February 2016 at 7:00pm ET/PT, Nick USA has unveiled a second super sneak peek preview of the all-new "Miraculous" episode, which you can watch in the fantastic online streaming video clip here on Nick.com! In the brand-new "Miraculous Ladybug" episode "Darkblade" (#114), after losing an election, D'Argencourt gets akumatized into Darkblade and recruits the unwilling citizens of Paris into an army of knights! In the super sneak peek, "Under Attack", Darkblade attacks the Bourgeois mansion and Cat Noir is here to stop him! 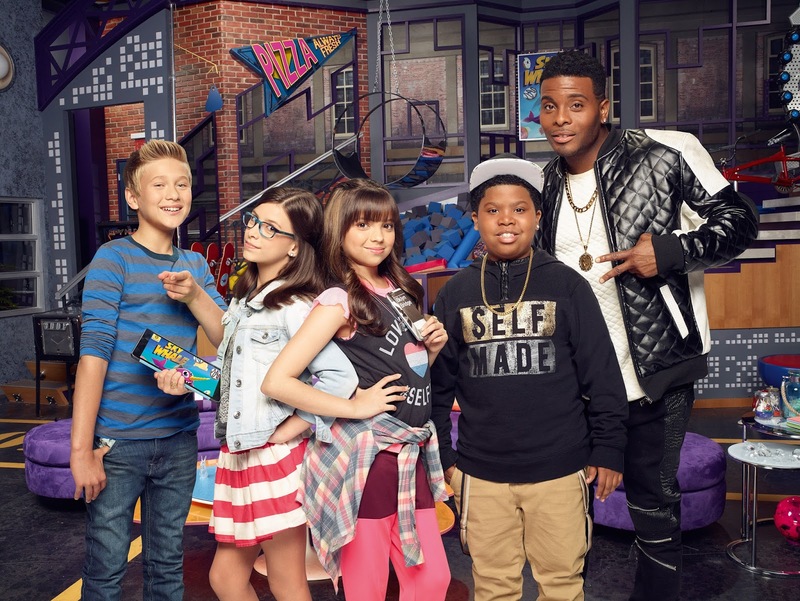 Catch more brand-new episodes of Game Shakers every Saturday at 8:00pm ET/PT on Nickelodeon USA! Win a VIP Turtle getaway! To enter, find the turtle statue in New York City and post a selfie on Instagram or Twitter with #TMNT2Sweepstakes. You can also participate by naming your favorite turtle on Instagram or Twitter using #TMNT2Sweepstakes. http://tmnt2.mtv.com! Contest closes at 11:59:59 p.m. EST on Thursday 3rd March 2016. Live in the UK? Check out the UK version of Nickelodeon Movies and Paramount Pictures' "Turtle Hunt" competition! Nicktoons Facts: Doug was created by Jim Jinkins and premiered on August 11, 1991 as one of the original Nicktoons. It ran on Nickelodeon for 52 episodes before being acquired by Disney and spawning the feature film, Doug's 1st Movie. Nicktoons Facts: Ren & Stimpy was created by John Kricfalusi and premiered on August 11, 1991 as one of the original Nicktoons. It ran on Nickelodeon for 5 seasons and spawned the spin-off Ren & Stimpy "Adult Party Cartoon" in 2003. Additional sources: Nickelodeon Wiki, Wikipedia. Nicktoons facts: Hey Arnold! was created by Craig Bartlett and premiered on October 7, 1996. It ran for 100 episodes over 8 years, and spawned the feature film Hey Arnold! : The Movie in 2002. A brand-new Hey Arnold! TV movie is currently in development. Watch the original theme song and opening credits of Rugrats, as part of Nickelodeon's 25 Years of Animation celebration! Nicktoons Facts: Rugrats was created by Arlene Klasky, Gabor Csupo and Paul Germain, and debuted August 11, 1991 as one of the original Nicktoons. It ran for 172 episodes, and spawned three movies and two spin-off series. 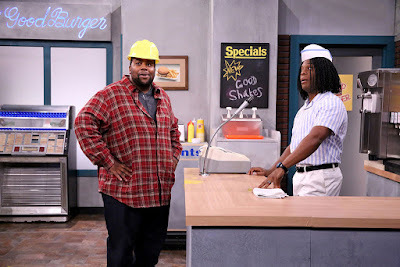 Kenan Thompson and Kel Mitchell reunited for an epic, hilarious "Good Burger" sketch on "The Tonight Show Starring Jimmy Fallon" in September last year, which only left fans wanting more, and according to Kel Mitchell, those dreams might soon come true! "Everybody is talking about a "Good Burger 2", us doing a Bad Boys type of film," Mitchell told hosts Jake Brown and Brandon Robinson on the Brown and Scoop podcast on Wednesday 24th February 2016. "Me and Kenan have definitely been talking about it. You might definitely see something coming up with me and him soon." Kel Mitchell stars as Double G in "Game Shakers"
The 37-year-old actor and comedian, who currently stars on the Nickelodeon show "Game Shakers", said he couldn't dish too many details, but confirmed that he and his former "All That" and "Kenan & Kel" co-star have "definitely" talked about some kind of sequel or reunion. "We have definitely been talking about doing something big for the fans, because everybody has been looking for it," he added. "They want us back together." Kenan Thompson is currently the longest-tenured cast member on NBC's "Saturday Night Live", after joining the show in 2003. Mitchell says that he and his wife, Asia Lee, make a point to see his friend and former co-star whenever they're in New York. "Our conversations are a little bit different now since we have kids," he said with a laugh. "We definitely stay in touch. There's no Kenan and Kel beef ... Everything is good." "Good Burger" was originally a sketch on the hit Nickelodeon comedy series "All That" that inspired the 1997 film. Brown and Scoop is available on the Play.it podcast network. In additional "Good Burger" news, the beloved Nickelodeon movie will be available to stream on Netflix from Tuesday 1st March 2016! Sources: Entertainment Tonight, Orlando Sentinel. Nickelodeon Animation Studio (NAS) are hiring coordinators with a deep passion for animation and experience creating and managing social content! 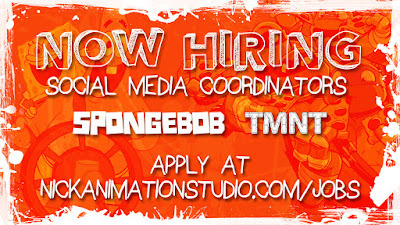 Nickelodeon Animation Studio (NAS) is looking for 2 Social Media Coordinators – one for Teenage Mutant Ninja Turtles, and another for SpongeBob SquarePants. The Social Media Coordinator will partner with the NAS and Nickelodeon Brand social teams in their community management efforts and to produce/curate original content for social media and digital marketing. NAS STRONGLY encourages you to submit a cover letter with your application. Please feel free to specify a preference for either production in your cover letter. * Represent the brand and vision of Nickelodeon, the production, crew and the Nick Animation Studio to their current/potential audience online. * Produce and deliver original social media content for usage across social pages and digital platforms. * Help develop key social media strategies and processes. * Help streamline production workflows for social content production to improve productivity and efficiency in marketing efforts. * Oversee social pages and community management for designated property. * Develop and actively maintain partnerships across the production, network, artist, talent and studio communities. * Create and curate original and exciting content social media pages (i.e. Tumblr, Vine, Instagram, Facebook). * Produce, film and edit original videos for Nick and NAS YouTube pages. * Live coverage of conventions, fan events, and episode premieres. * Collaborate with Nick Animation Studio Social, Nickelodeon Brand Social, Talent and Marketing teams on requests, social media stunts, content collection, data analytics and reports. * Coordinate and execute social media stunts based on brand/studio priorities. * Act as liaison between production and network for all social deliverables. * Coordinate and execute live social events and stunts with talent, creators, artists, etc. * Manage the online community discussing the property on their various social pages. * Organize posting schedules for social media pages. * Produce original content for nickanimationstudio.com. * Establish and foster excellent relationships across the studio with staff, artists, writers and talent to secure and capture exclusive content for social media. * Utilize social media data analytics programs (i.e. Sysomos, Adobe Social, etc.) to deliver reports of progress and produce better content. * Passionate and knowledgeable about the history, universe and fandom of SpongeBob SquarePants or Teenage Mutant Ninja Turtles and the Nickelodeon brand. * Familiar with the larger world of animation, art, comics and children's entertainment. * 1+ years of social media managing experience, specifically for a brand or organization. * Mastery of video/film editing and production. * Mastered the art of Tumblr, Twitter, Facebook, Instagram, Vine, LinkedIn, Snapchat AND Youtube (yes, ALL of them). * Super organized and proficient with general admin tasks. * Able to adapt quickly to trends and opportunities. * Excellent, sharp and fresh writing/editorial skills. * Able to make friends and forge relationships quickly without even trying. Think you've got the goods? Apply here! Follow NickALive! on Twitter, Tumblr, Google+, via RSS, on Instagram, and/or Facebook for the latest Nickelodeon Animation Studio, SpongeBob SquarePants and Teenage Mutant Ninja Turtles News and Highlights! Who's visiting a Pineapple under the sea? Betty White! TV Insider is reporting the Sponge-Tastic news that comedy legend Betty White (The Golden Girls, Hot in Cleveland) will be guest starring in the upcoming brand-new SpongeBob SquarePants episode "Mall Girl Pearl", which Nickelodeon USA will be premiering on Saturday 12 March 2016 at 7:30pm ET/PT! The actress lends her voice to the all-new episode as Beatrice, a "zen granny" who owns Grandma's Apron, a store in the mall that specializes in all things grandma. When Mr. Krabs' daughter Pearl searches for a job at the mall, Beatrice's shop is the only one with an opening. "Like SpongeBob, Betty White is a comedy icon," say supervising producers Vincent Waller and Marc Ceccarelli. "Also like SpongeBob, she looks fantastic in shorts and tube socks." And yes, the producers fell under White's spell. "When she strolled into the record studio we didn't know what to expect," they say. "Happily, she is the exact person in the flesh as you've seen on the telly over the years. She is quick witted, gracious and welcoming to all that have the thrill to share a room or microphone with her. Just under the surface of this polite dignified lady, she revealed to us a whip smart, bawdy gal that could make a room full of navy men...or in this case, a room full of cartoonist and actors blush to a deep shade of crimson." Catch the brand-new SpongeBob SquarePants episode "Mall Girl Pearl"/"Two Thumbs Down", premiering Saturday 12 March 2016 at 7:30pm ET/PT, right before Nickelodeon's 2016 Kids' Choice Awards, only on Nick USA! The Hungarian children's television news blog Gyerek-Világ is reporting the exciting Nickelodeon International news that Nickelodeon Central and Eastern Europe (CEE) will start to premiere and show Nickelodeon's brand-new live-action original comedy series "100 Things to Do Before High School", locally titled "100 dolog a gimi előtt", in March 2016! Nickelodeon Central and Eastern Europe will air a special sneak-peek of Nickelodeon's brand-new show, featuring part one of the shows' two-part series premiere special, on Wednesday 16th March 2016 at 19:40. 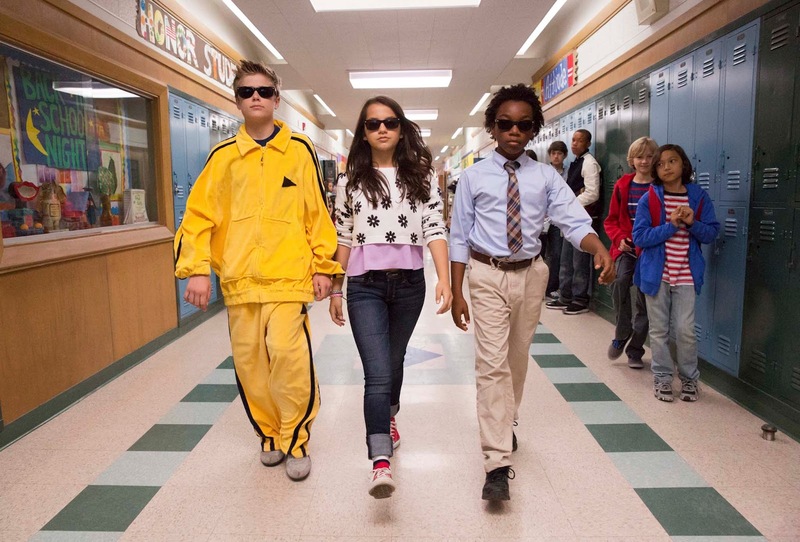 Following the sneak-peek, Nickelodeon CEE will start to fully premiere and show "100 Things to Do Before High School", beginning with the shows hour-long series premiere episode in full, weekdays at 17:10 from Monday 21st March 2016! Follow NickALive! on Twitter, Tumblr, Google+, via RSS, on Instagram, and/or Facebook for the latest Nickelodeon Central and Eastern Europe and 100 Things to Do Before High School News and Highlights! To celebrate Nickelodeon USA premiering the brand-new "Nicky, Ricky, Dicky & Dawn" episode "Quad Court" on Saturday 27th February 2016 at 8:30pm (ET/PT), Nick USA has unveiled a super sneak peek from the all-new episode, which you can watch in the quad-tastic video clip here on Nick.com! In the brand-new NRDD episode "Quad Court" (#210), the quads create a courtroom in their garage to settle their own arguments and end up using the court to pass judgment on friends and classmates! In the fantastic sneak peek, "Dawn's Diary", Nicky (Aidan Gallagher), Ricky (Casey Simpson), Dicky (Mace Coronel) and Dawn (Lizzy Greene) try to settle the mystery stain case in Quad Court! "Nicky, Ricky, Dicky & Dawn" stars Aidan Gallagher, Casey Simpson and Lizzy Greene have been nominated for Kids' Choice Awards! Vote for them now at nick.com/kca and kca2016.com! To celebrate Nickelodeon USA premiering the brand-new "100 Things to Do Before High School" episode "Get Your Heart Pre-Broken Thing!" on Saturday 27th February 2016 at 9:00pm (ET/PT), Nick USA has unveiled a super sneak peek preview of the all-new "100 Things" episode, which you can watch in the fantastic online streaming video clip here on Nick.com! In the brand-new "100 Things to Do Before High School" episode "Get Your Heart Pre-Broken Thing!" (#114), after Ronbie Martin's (Max Ehrich) girlfriend breaks up with him, CJ (Isabela Moner) and the boys decide to take the initiative and get their hearts broken. In the super sneak peek, "Break My Heart", Fenwick (Jaheem Toombs) is determined to get his heart broken, but it hurts a little more than expected. Additional sources: Zap2it TV Listings and IMDb. To celebrate Nickelodeon USA premiering the brand-new Power Rangers Dino Super Charge episode "Roar of the Red Ranger" on Saturday 27th February 2016 at 12:00pm ET/PT, Nick USA has unveiled a fantastic new sneak peek preview from the all-new PRDSC episode, which you can watch in the super online streaming video clip here on Nick.com! 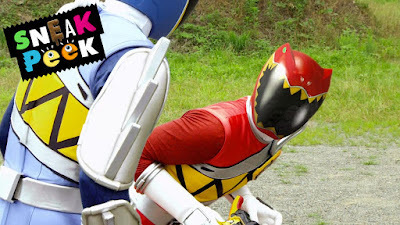 In the brand-new Power Rangers Dino Super Charge episode "Roar of the Red Ranger" (#605), Tyler (Brennan Mejia) attempts to master the new T-Rex Super Charge Mode, but when Heckyl (Ryan Carter) plants a virus in Kendall's computer the new Dino Charger malfunctions and makes Tyler go wild! In the super sneak peek, "T-Rex Virus", the T-Rex spirit takes over Tyler's mind when he tries out the updated Super Charger!